BIRD OF THE MONTH: Toco Toucan + New Molded Medallions! Wow, I can't believe January is coming to an end already! I hope you all have had a wonderful start to the New Year! The month has been rather eventful, and time got away from me. 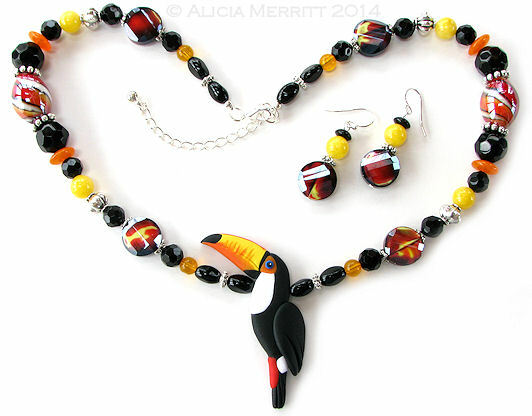 The Bird of the Month for January is the Toco Toucan, and there is a beaded necklace with striking glass beads, and matching earrings. This month's jewelry is on auction for five days, ending on February 4th. 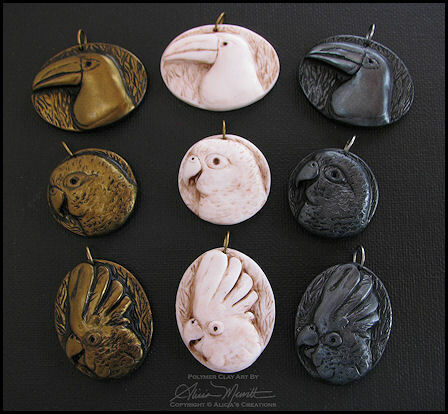 I'm happy to let you know that I have THREE new species added to my new line of molded medallion pendants! This month, I am debuting the following species, on sale on eBay: Aracari/Toucan, Conure, and Umbrella Cockatoo! 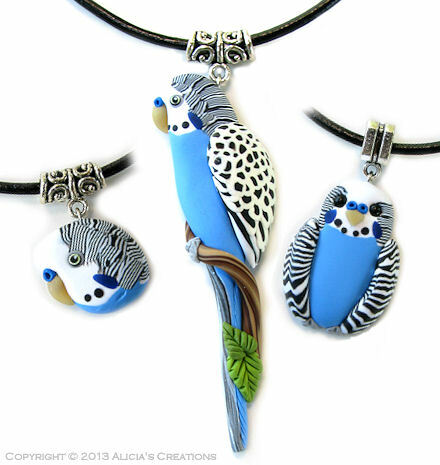 There are three pendants of each species, in each of the color finishes which include pewter, antique ivory, and antique gold. Black cord necklaces are available for $3.00 additional if you want a necklace added, just let me know before you send payment. 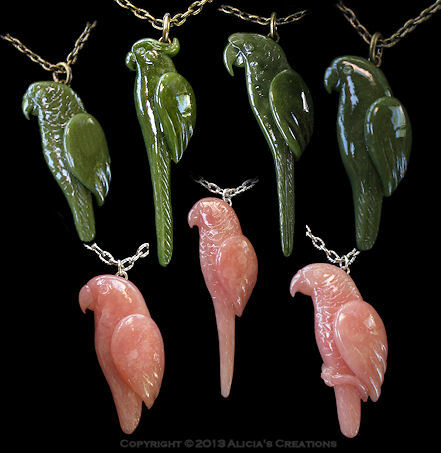 To see all of the pieces on auction, visit my eBay listings here: www.ebay.com/sch/parrotjewelry/m.html?_ipg=50&_from&_nkw&_armrs=1&_sop=10"
I'm not able to take regular custom orders right now, but will be updating my website with new custom order pricing for the new year throughout the next month or two. Once I have the website updates finished, I will put the order form up and let you know when I am ready for custom orders again! Want to see some of my latest custom work? Check out my photo albums on Facebook, where I often post photos of my recent custom creations, along with work in progress shots.